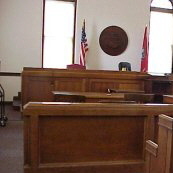 The goal of court offered mediation is to provide a process that helps plaintiffs and defendants resolve their disputes to their mutual satisfaction on a voluntary basis without going to trial. Court-based mediation is a problem solving process. Mediation is not arbitration. Mediators do not determine the substance or outcome of the agreement. Mediators are impartial between the parties and neutral in the sense that they are committed only to mediating a fair, open, informed, confidential and honest process in which clients have as full an opportunity as can be provided to reach agreement on the issues which clients wish to decide. Mediators have no personal agenda such as the clients forgive one another or resolve all issues involved in a pending legal proceeding. Likewise, mediation is neither therapy nor counseling, because it is devoted straightforwardly to negotiating the future rather than healing the clients. Mediation is done, as far as possible, by co-mediators who are paired for diversity along the lines of experience in mediation, legal education, gender, ethnic group, mediation style and other dimensions that promote effective mediation. Mediators, even attorney mediators, do not give legal advice in mediations. You do not need to have a lawyer to mediate, however, you always have a right to consult with a lawyer whenever you are in a lawsuit. In mediation the lawyer's task focuses on helping the client make informed decisions in light of the client's legal rights and duties. Lawyers are especially helpful when they tell their clients what would be likely to happen at trial. The lawyer may speak for the client, but generally it is best for the clients to speak up for themselves. The final agreement is a legally binding written contract that will be reviewed by a Judge. Mediation is available for all types of civil litigation and some categories of criminal cases. Pre-warrant mediation services are also available to disputing parties seeking a remedy through the criminal court system. Mediation protects relationships between the parties while they resolve their disputes. Mediation is informal and simple. It is easy for most people to understand and use. Mediation is private and confidential. Cases decided in court are public matters. There are no rules of evidence in mediation so the people can say and consider whatever they find helpful. The people can resolve the case in almost any legal way want. There are no losers in mediation because both parties have agreed to a mutual solution. Mediation is conducted in a safe, secure area where the parties are free to voice their opinions. Either party can stop the mediation at any time. The court's mediators are specially trained volunteers from the Community Mediation Center who have a minimum of 40 hours of certified mediation training. Many court volunteer mediators are attorneys, business people, community activists, retired professionals and others with a strong desire to serve the community.